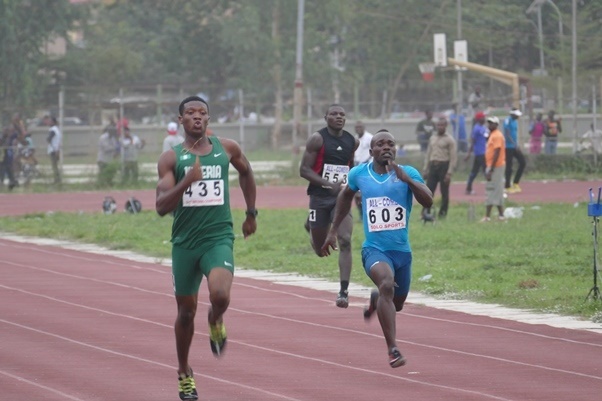 Chukwudi Olisakwe (In green) won the 100m (Photo Credit MOC). Residents of Warri, Ozoro, Ugheli and its environs can sense special visitors are arriving as the city is wearing a new look. Top athletes are breezing into Delta State for the 2017 Warri Relays &CAA Grand Prix. Already, invited athletes from Niger Republic and Liberia are in town while the star-studded Botswana team and other invited countries are expected to touch down on Monday in the oil-rich state. The Media Coordinator for 2017 Warri Relays &CAA Grand Prix, Olukayode Thomas also confirmed that top Nigerian athletes including United States-based Tobi Amusan are in town ahead of what promises to be an exciting meet. “Yes, we are on track to stage another exciting athletics meet, we thank the Delta State Government and of course Solid Works for making this happen, some countries have already arrived and we expect others on Monday,” Thomas stated. Thomas also confirmed that the facilities at the Delta State Polytechnic Stadium, Ozoro, venue of this year’s Warri Relays &CAA Grand Prix are all in decent shape. Meanwhile, outside of the elite cast of athletes that will be on parade, the High School and Inter-Collegiate Category is also gathering much momentum as students in and around Delta State are looking forward to Tuesday’s Meet with keen interest.